I saw this album for the first time in 2006. The vinyl is an ultra rare. However the fans of music can find the songs for the digital downloading easily. In fact this album is tejano music. Tejano music was born in Texas. Although it has influences from Mexico and other Latin American countries, the main influences are American. This music genre has various categories of music and bands. Three major categories are Conjunto, Orchestra and Modern. 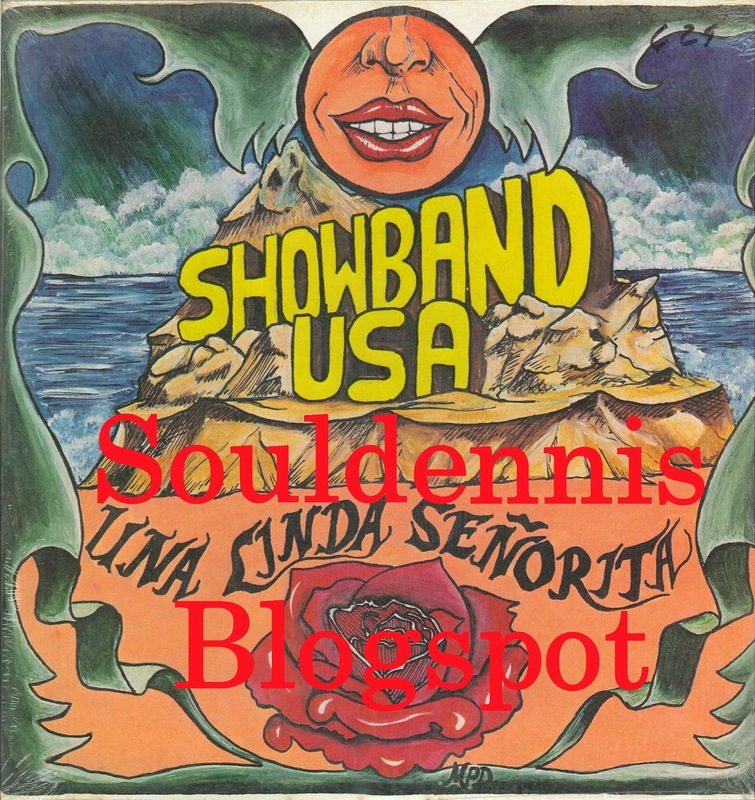 ShowBand USA is a representative of Tejano music. The band was formed in the 70s. They have released many albums until nowadays. This album was released in 1982 on Hacienda Records. It was recorded at Hacienda Recording Studios, Corpus Christi Texas. At that time, the members of the group were Robert Garcia on keyboards and vocals, Paul Garcia on vocals, Joseph De La Cerda on sax, percussion, synthesizer, Faustino Saenz on sax, Omar Ruiz and Roel De la Paz on trumpet, Israel Cantu on guitar, Rene Munoz on bass, Hector Gutierrez on keyboards, Richard Florez on drums and percussion. All the lyrics are in spanish. Except for the songs "Let Me Down Easy" and "The Fire I Feel" which I will present. Both songs were written by Robert Garcia. Produced by Arnold Garcia and Robert Garcia.